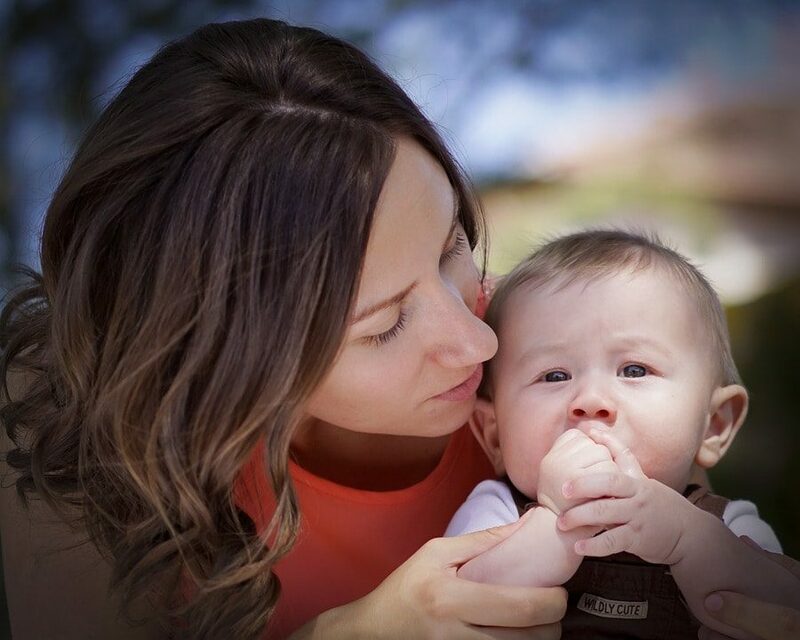 Several months ago, Tanna Clark — who used to be a professional organizer and fellow organizing blogger — approached me about working with her non-profit, Grace & Glory. As she shared more with me about Grace & Glory’s mission to Fight Hunger, Encourage Play and Give Hope to Children in Need of a Brighter Tomorrow, I got more and more excited about the possibilities! We’ll see what the future holds, but to start, we decided that I would host a tutu-making party as a service project for some of our homeschooling friends. 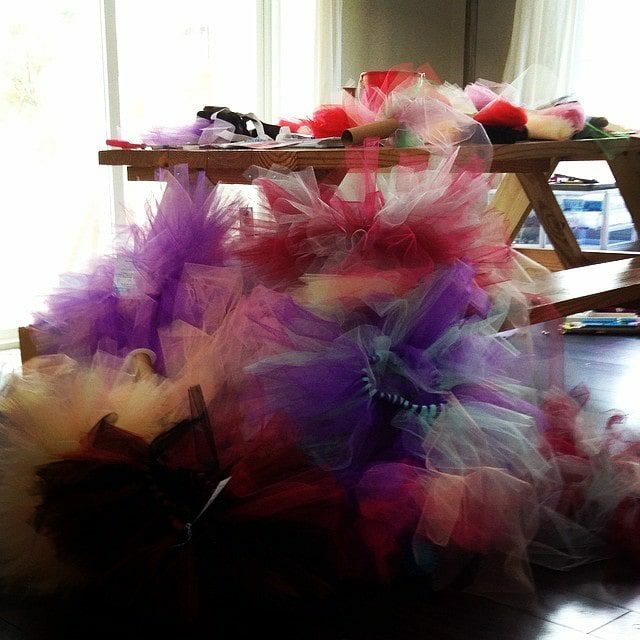 What is a tutu making party? One of Grace & Glory’s main activities is to distribute capes and tutus to children who are orphaned, sick, homeless or hurting in Middle Tennessee and Haiti. As part of this distribution, they also share the Gospel, encourage play and love on the children who are receiving them. 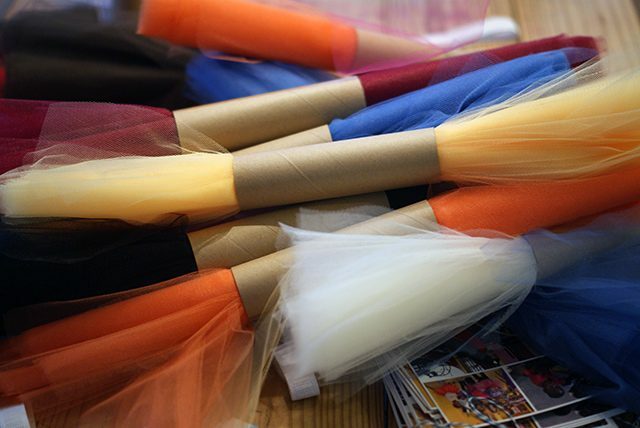 Because the opportunities to distribute capes and tutus exceeds the amount that Tanna herself can make, she invites various groups to partner with her to make these. The capes require some sewing, but tutus are easily assembled by all ages and in a group setting. Since Sean is home, he helped entertain the older boys — none of whom took me up on my offer to make a tutu! — and some of the younger girls who lost interest in the tutu making. It was fun to watch them rush inside every few minutes to his plane “hangar” to choose the next plane for him to fly. Our house is fairly small, so we were packed in pretty good, but we got more than 2 dozen tutus made, and the girls and I plan to finish the rest over the next couple of weeks! The tutu supplies cost about $5 per tutu. Because we didn’t want the cost to keep anyone from participating, we set out a bucket to collect donations from the families who could donate but didn’t “require” a donation to participate. I’m also thinking about hosting another party for our American Heritage Girls troop in the fall as one of our community service projects. My friend Denise brought all four of her daughters to the party, pulling one of them out of school for the day. I love the perspective she shared: we never know how that one tutu might impact the recipient’s life and have a ripple affect that can change the world! To find out more about hosting a tutu-making party for your friends, small group, homeschool group or scouting troop, or even as part of a birthday party, email Tanna. It really is a fun activity and service project for kids or adults! 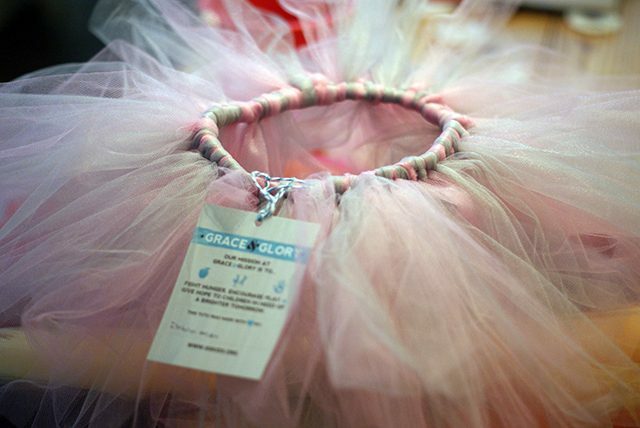 You can also buy premade tutus and capes through the Grace & Glory shop for little girls and boys in your life. 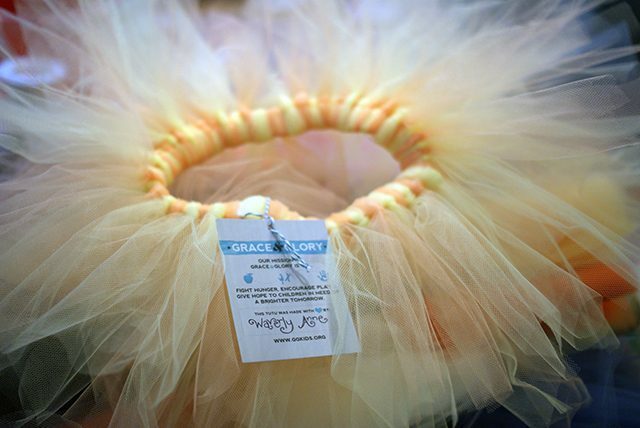 These are buy one, give one and help provide tutus and capes for other children and support the other work that Grace & Glory does in Middle Tennessee and Haiti. Tanna does not receive a salary from Grace & Glory, and I am not and do not plan to be compensated for my work with them either. We’re both just really excited about the possibilities to change the lives of children! 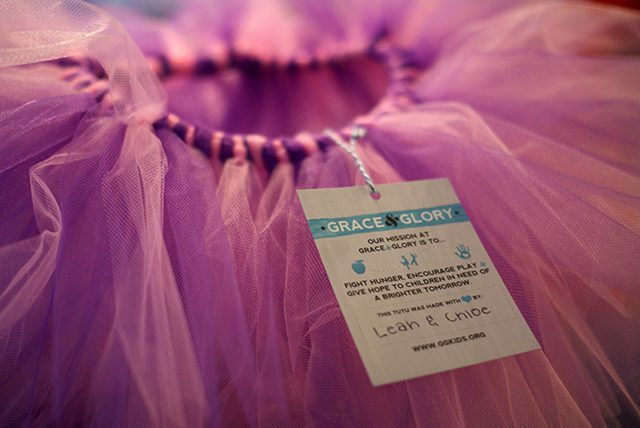 In addition to tutus and capes, Grace & Glory also partners with an orphanage in Montrouis, Haiti. They support the orphanage and their feeding program and are also helping them build a school. Make a one-time donation to support their work or sponsor a child to help meet their ongoing nutritional, medical and educational needs. I love Tanna’s heart for children, and I’m excited to be partnering with her and sharing more about Grace & Glory’s work in the upcoming months! Ha, Katie – I come up with, and then forget, great ideas all the time too! I hope you so remember this one, though, because it’s super fun!